Citizen TV news presenter Joey Muthengi is in the running to become the newest “struggle” meme on social media. This after her struggle with a giant water walking ball on live television left views and netizens in bouts of laughter. Ms Muthengi, together with her ‘DayBreak’ cohost Willis Raburu, kickstarted their Monday in epic fashion as they hit the Two Rivers Mall for some water fun. One of the fun activities included walking on water, albeit inside an inflatable water walking ball. Being her first time inside the ball, Joey Muthengi flopped badly and brought embarrassment to her whole village. She just couldn’t find her balance and tumbled every time she tried despite boasting 12 years of yoga. To make matters worse, the incident was aired on live television. 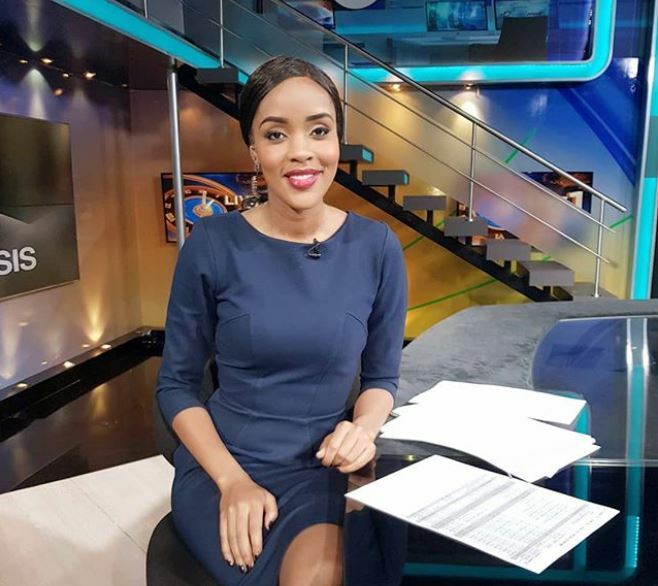 However, Joey Muthengi was quite the sport as she accepted her embarrassment with grace and even cracked up her social media followers with a video of the incident and a hilarious caption blaming her fail on the weather and rising fuel prices. Meanwhile, Willis Raburu appeared to be having quite the blast. Watch below. This is how you kick start your Monday!!! On #DayBreak @citizentvkenya We were at @funscapes.ea check them out @tworivers_ke maaaaaad fuuun!! !